The RCA LTR Coach Para Module is a phenomenal introduction to coaching para rowing. This workshop will provide you with hands-on experience working directly with athletes with a disability, giving you a sense of familiarity and confidence in this environment. An important focus of this NCCP workshop is the comfort and safety of the athlete. You will learn to work through the best solutions for an adaptive athlete to ensure that they are able to get the most out of their experience under the safest of circumstances. After an interactive 1.5 days, you will be properly trained and accomplished at providing a para athlete with an experience that will provide them with an incredible level of freedom. Anyone with experience rowing at the high school, club, or university level with basic rowing technical knowledge and who wants to instruct new rowers and rowers with a disability. You would coach beginner rowers with a disability in the Learn to Train stage of LTAD. 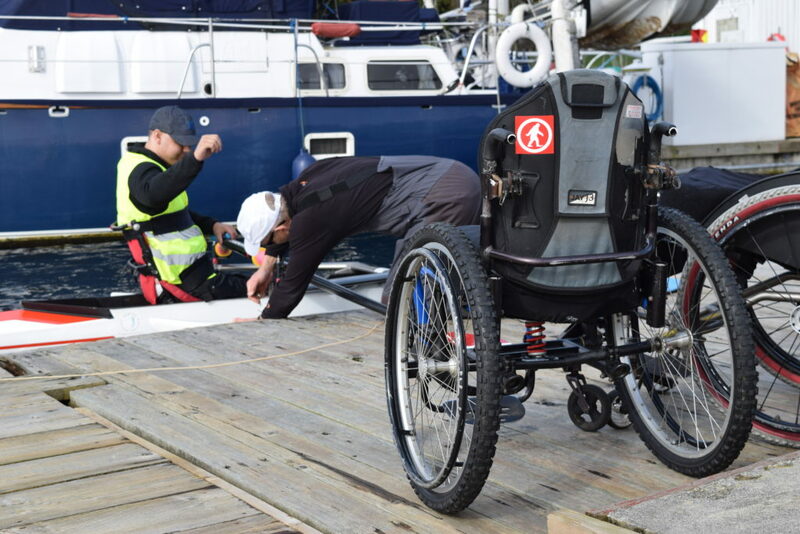 This could include a group of rowers with a disability or it could be the inclusion of one beginning rower with a disability participating in the club’s Learn to Row program. These beginner para rowers could be any age (10-65).